If you are running some website or blog then you must to know about website speed. It affects your search engine page ranking. If your website or blog takes too much time to load. Then you lose your ranking. Because Google gives higher rank those websites which load instantly even in slow internet speed. That why Google introduce amp project. That is open source project. If you are using an amp on your website then this is good for you. It also loads your web pages in mobile quickly. 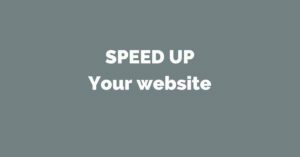 In this article, I will guide you how to make your website faster. If you want to start blogging then make sure your hosting response rate is minimum. If your hosting takes too much time to respond then you can lose your position on search results page. So must sure when you are purchasing hosting plane you have to know that response time first. A second thing is that when you purchasing your hosting plan check his bandwidth if it gives you unlimited bandwidth then that is excellent for you. if limited then it makes a problem for you when suddenly too much visitors come to your website. Many possible chances your site get down. In the limited bandwidth plane your hosting can’t handle too much visitors at one time it’s down your website for some time. Godaddy- GoDaddy is good for you if you want to host your website or blog. Many popular bloggers our blog hosted on it. They give good support. Service of GoDaddy is very good if you forget to renew your plan then they call you to remember it. Google cloud – it is the best option for you google server is very fast. They also provide you WordPress in his cloud and other popular apps also. If you know to manage Google cloud then it is best for the blog. His server never down if too much visitors come in your site in one time. Some more best hosting providers- Bluehost, Hostgator etc. Many peoples just install any theme without checking its speed. website speed matters also matter on the theme if you use a heavy theme in your website its take too long to open but if you choose fully optimize theme which takes to load few seconds that really help in SEO and boost your page ranking in search engine. the big question is how can you choose fully optimize theme then you don’t worry about that many companies or website sell fully optimize themes if you want to invest in theme then go for it but if you don’t want to invest money in theme then you find free optimize theme. In my blog, I am also using a free theme that is called ionmag. It is a free version which is provided by newspaper theme owners. When you writing a blog you also use an image in every post. If your images are heavy then it takes more bandwidth to load and open it. That way your blog becomes slow. If you are posting a blog on WordPress then congratulate yourself first because WordPress provides lots of plugins to compress image size without losing its quality. In my blog, I am using ewww image optimizer to optimize my images. When someone visits my blog ewww image compressed my all images size and my webpage load quickly as soon as possible. it also decreases my loading time. Optimize your videos through video optimizer plugin. This plugin reduces the load time of your page and loads lazy your video when scrolling down your page. This plugin basically works your website by loading lazy your image and videos. Your primary data is downloaded first and after scroll, your website then images and your video appears where you put it on your web page. It reduces your bandwidth uses that why your website loads quickly and reduce the load time of your website. Many WordPress website owners use cache to improve website load time. It is very important for your website. It decreases your website page load time when someone visits your website. The W3 total cache plugin is also available in the free version but if you are able to purchase it then I recommend you to purchase it. This plugin works superbly for my website. Before installing my website score load time 60% only on Google check page load time but after installation my website page load time increase and become 80% or above. I highly recommend this plugin for every WordPress user. I am also using a free version of this plugin on my website. This plugin also removes junk file and clear cache from my database. Just you have to configure after installation of this plugin. Open w3 total cache general setting and enable page cache option. The second option is minifying in this, select minify auto mode. scroll down and database cache, object cache, browser cache enable it and save it. Don’t try any other modification if you don’t have knowledge. Otherwise, it negatively affects your website. If your blog or website takes too much time then you have also one another option is provided in w3 total cache plugin that is CDN. CDN is work for your website data store in local area server. If someone opens your website in Asia but your database is in the USA then it takes time to open your website but CDN is stored your data in near sever of the user. That’s why take a short time to open website. It is good to improve page load time and speed up your website or blog. Many WordPress owners do not remove the non-useful plugins. They don’t understand this also impacts on website load time. If you are not using some plugin or leave it deactivated. that is also using bandwidth power. If your website uses more bandwidth. Then it’s become slow your website. Remove all plugins that are not using you. Optimize your plugins. If you are using zip compression then it us also provide a boost of your website. It is reduce your page load time. Actually, gzip compress your website data and minimized whole data. That means it takes minimum space to store data. when someone opens your website it loads instantly compressed data and restore your files to make readable easily by visitors. Google provides you a free tool to check your website speed. This tool also gives you suggestions to make an improvement on your website. 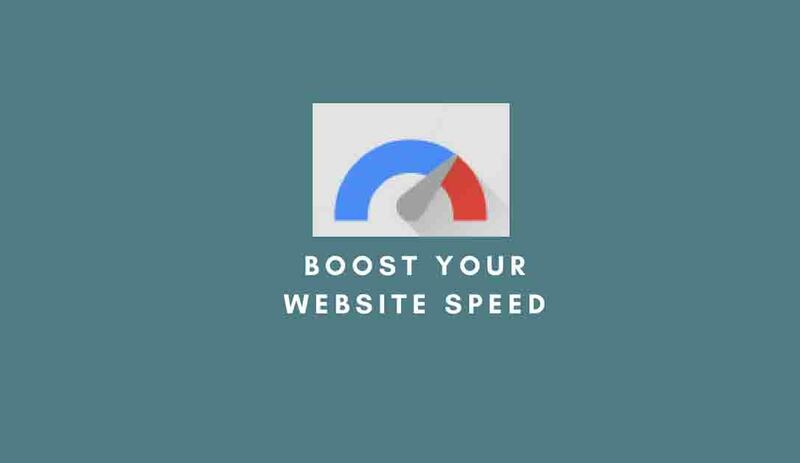 You can check here and improve your website speed. 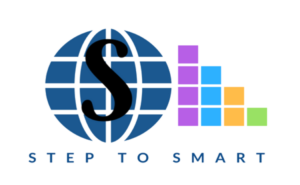 But many more website also provides you these types tools to check your website speed test and many more things. If you want this type free tool then visit neilpatel.com and go to service’s select website test to check your website performance. These tools help to improve your WordPress website speed. That help to rank your website in the top. Because speed is a matter for everyone. If your website takes more time to loading then you can lose your visitors because, if a website takes 3 to 5 sec to open. People don’t wait to open it and leave it and go to another website. If you want to rank number one in Google keep Always check your website speed. It is also matter for every website owner. Thanks, Rohan Keep reading our blog posts. We can publish more contents in the future like that.